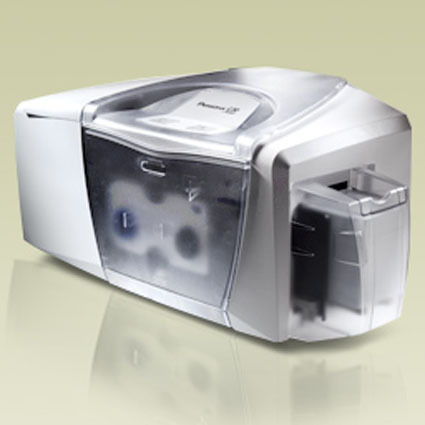 Making high-quality plastic ID cards is incredibly easy, with the Fargo Persona C30 ID Card Printer. It’s so easy to operate, there’s virtually no learning curve or maintenance. Time to change the ribbon? The ribbon cartridge contains both the printer ribbon and card-cleaning roller all in one disposable cartridge. Just slide it into the printer, and start printing. The Fargo Persona C30 prints text, logos, bar codes, signatures, and photos in full color. Add an optional magnetic stripe encoding module to increase the versatility of your cards.